Kumar Sanu (Born on 22 September 1957) is a renowned Indian playback Singer and Composer who has sung over 26000 songs in more than 30 languages. He mostly does Playback Singing in Hindi Movies and has released private albums as well. In 1993 he sung 28 songs in a day thereby making a new world Record. It was recorded in Guinness Book of World Records.He was once Awarded the Filmfare Best Male Playback Singer Award for Five Years in a Row. Kumar Sanu was born as 'Kedarnath Bhattacharya' to Vocalist and Composer Pashupati Bhattacharya. Being a Singer himself, Pashupati trained Kumar as a Tabla Player and a Singer. Kumar Sanu idolizes Veteran Singer Kishor Kumar. Kumar has earned a degree in Commerce from Calcutta University. 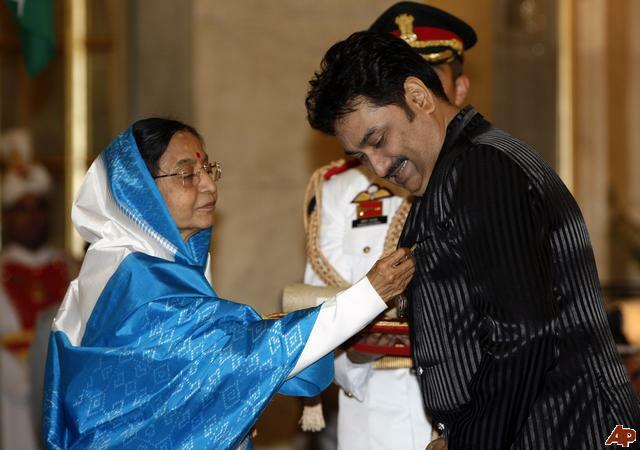 Kumar Sanu was Awarded India's fourth-highest civilian honor, Padma Shri, by the Government of India in Recognition of his Achievements in 2009. He has recorded Songs in over 30 languages, including English, Marathi, Assamese, Bhojpuri, Gujarati, Telugu, Tamil, Malayalam, Kannada, Punjabi, Oriya, Chhattisgarhi, Urdu, Pali, and his native language, Bengali. He has recorded songs for over 500 Hindi Films, over 50 Hindi Music Album & over 25 Hindi Serials. He debuted in singing with Bangladeshi film 'Tin Kanya' (1986). Sanu's first Hindi film song was from Hindi movie 'Aandhiyan', which released in 1990. He shifted to Mumbai and met musical duo Kalyanji-Anandji, who offered him to sing for the movie 'Jaadugar'. Kumar Sanu was the leading Playback Singer for the Blockbuster Movie 'Aashiqui' (1990), where he worked with Famous Music-Director Pair Nadeem Shravan. All the Songs of the Movie were Sensational Hits. Aashiqui helped Kumar to be Counted Among top Singers of Bollywood. A Year later Kumar Sanu was Signed to sing for 4 Movies where Nadeem-Shravan composed music. The movies being 'Saajan' (1991), 'Phool Aur Kaante' (1991), 'Dil Hai Ki Manta Nahin' (1991), Sadak (1991). The Songs from these Movies became instantly popular and Established Kumar in the Hindi Film Industry. A Song from Director duo Abbas-Mustan's crime thriller 'Baazigar', Titled "Yeh Kaali Kaali Aankhe" was Among the Most Popular songs of 1993, which was Sung by Kumar Sanu. For 10 years, from 1990 to 2000 Kumar Sanu Worked with a Range of directors, right from Anu Malik and Jatin-Lalit to Anand-Milind and Viju Shah. Kumar Sanu has tried his hand in Music Composition as well. He Composed Music for 'Utthaan' and produced it as well. He was the music-director for another Movie 'Yeh Sunday Kyu Aata Hai'. He composed music for two Bengali films as well. He Served as a judge on Popular Zee TV reality singing show Sa Re Ga Ma Pa's Bengali version.Kumar Sanu runs a primary school for Underprivileged Children, named 'Kumar Sanu Vidya Niketan' in Karol Bagh, Delhi. 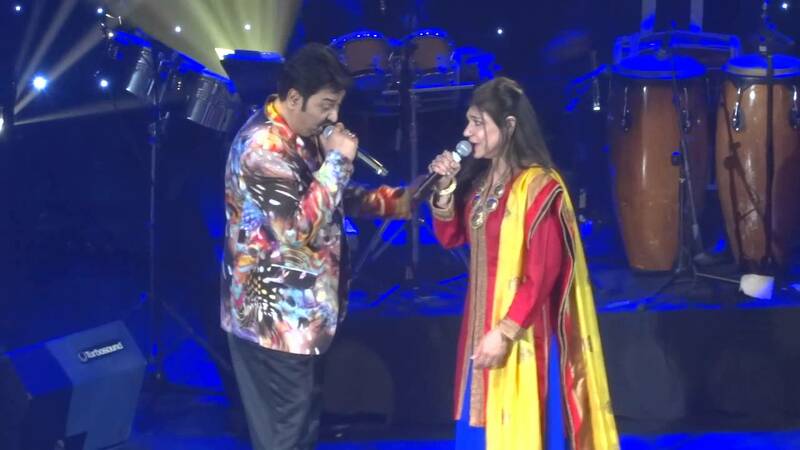 Kumar Sanu has sung duet Songs with veteran singer 'Lata Mangeshkar'. He has worked with other renowned singers such as Alka Yagnik, Anuradha Podwal, Asha Bhosle, Sunidhi Chauhan and newcomers like Monali Thakur.In 2008 he sang along playback singer Alka Yagnik for 'Gumnaam – The Mystery', then he took a break from playback singing and resumed singing in 2012, when music directors 'Sajid-Wajid' asked him to sing for the movie 'Rowdy Rathore. 'Kumar Sanu's last song as of September 2017 was "O Mere Sanam" from the movie 'Mridang'. ➯ Kumar Sanu won Padma Shri Screen award for Best Male Playback. ➯ He follows Kishor Kumar and is said to have adapted his style of singing. ➯ Kumar Sanu's real name is Kedarnath Bhattacharya. ➯ Kumar Sanu debuted in singing with Bangladeshi film 'Tin Kanya' (1986). ➯ Sanu's first Hindi film song was from Hindi movie ' Aandhiyan. ➯ Kumar Sanu has sung over 26000 songs in more than 30 languages. ➯ Kumar Sanu had a Guinness world record of singing the most number of songs in a day. ➯ Kumar was awarded India's fourth-highest civilian honor, Padma Shri, by the Government of India in 2009. ➯ His songs from the movie Aashiqui were his first hit songs. ➯ He was a judge on popular Bengali version of Sa Re Ga Ma Pa on Zee Bangla. ➯ He has composed music for two Hindi films - 'Yeh Sunday Kyu Aata Hai' and 'Utthaan'.